This page will point you to the latest training as soon as they're added. Visit often so you don't miss any of the new ideas being added! Continue reading "Being in the Zone"
Continue reading "Cross That Line"
Continue reading "Using an Existing Song To Create Your Own"
Continue reading "The Most Useful Piece of Songwriting Advice I've Learned..."
Continue reading "The More Personal, the More Powerful"
Fill in your entry to win a free songwriting course. Continue reading "Win A Free Songwriting Course"
Continue reading "Inspiration in the raw"
Continue reading "An Evening At The Ryman "
Continue reading "Writing The Song of Your Dreams"
Continue reading "Separating the Creator and the Critic..."
Continue reading "Two Kinds of Creativity"
Continue reading "creating from the hip of our subconscious"
Continue reading "Song in my dream"
Continue reading ""Out Of The Blue""
Continue reading "Thomas C. Raimondo"
Continue reading "Linda Shaw "
Continue reading "Blue Zone is real"
Continue reading "Unleashing the secret"
Continue reading "The Songwriting Genius Within You"
Continue reading "enjoy your posts"
Continue reading "Just in time!" Continue reading "Are You Going Against The Current Of Creativity ?" Continue reading "Using Theory Can Be Helpful To The Creative Process"
Continue reading "We Actually are a Genius of are own.... Hmmm..."
I have had mega tunes I have run through my conscious & unconscious brain over the years. My problem is getting them into a form to remember, record, etc. Continue reading "The genius inside"
I can relate, and therefore confirm. Continue reading "I can relate, and therefore confirm." 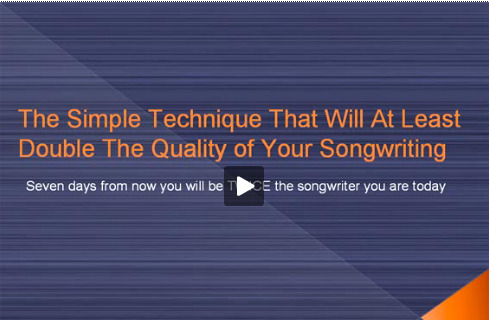 Continue reading "Dan cGillivray ( Songwriting name Ian McDaniels)"
Continue reading "magnificent advice on songwriting"